In search of a reliable source for a Bullfrog hot tub or home spa? Look no further than the team at Spa Hearth & Home. For most people, life is fast-paced, hectic, and unpredictable. These elements often lead to stress on a daily basis, something that denies millions of Americans the quality of life that they deserve. With the help of Bullfrog Spas and their signature JetPak Therapy System™, you can melt away your stress and alleviate muscular tension in a matter of minutes. 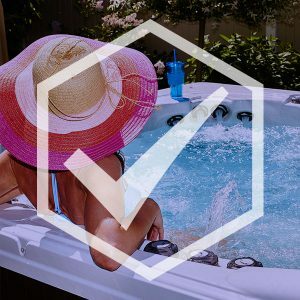 A hot tub or home spa is one of the greatest investments in your health that you can possibly make. Spa Hearth & Home is proud to be your go-to Bullfrog hot tub dealer in New Jersey, specializing in serving Maple Shade and the surrounding areas. We can connect you with the perfect Bullfrog home spa model including the X Series, STIL Series, R Series, and A Series, or even help you initiate the process of custom-designing your own home spa. Don’t let stress win another battle. Experience the undeniable benefits of hydrotherapy by shopping our comprehensive selection of Bullfrog hot tubs and home spas today! Why Go With A Bullfrog Hot Tub From Spa Hearth & Home? • Your personalized needs come first — we’re not happy until you’re happy! Life Is Short. Why Spend It Being Stressed And Tense? Whether you’re on your feet all day at your job, you spend countless hours hunched over in front of a computer, or you’re a busy stay-at-home parent who’s stretched thin from morning until bedtime, you probably carry more stress than you realize. Chronic and situational stress can degrade the quality of your life and interrupt natural processes including your appetite and subsequent dietary choices, your ability to sleep, your work performance, and even your day-to-day energy. Invest In Your Health And Well-Being. Invest In A Bullfrog Hot Tub! It’s true that there are nearly countless ways to try and unwind after a particularly stressful day, and what works for one person may be completely different than what works for you. But the real truth is this: just about everyone can enjoy the relaxing, carefree qualities of soaking in a hot tub. Our New Jersey Bullfrog hot tub dealers here at Spa Hearth & Home are proud to provide Maple Shade and other nearby communities with the near-magical power of hydrotherapy, a proven form alternative medicine. Regardless of what your specific hot tub needs are, Spa Hearth & Home is confident that Bullfrog Spas has the perfect solution for you. Their revolutionary JetPak Therapy System™ offers interchangeable customization to enhance and personalize your jet experience, and with 18 different jet options available, you can get the exact jet pressure, dispersal, and temperature that you’re looking for. 18 different options too overwhelming? Don’t worry; our Bullfrog home spa dealers in New Jersey are more than happy to find the right solution for you! Contact Spa Hearth & Home Today To Get Started! Take life’s stress and put the situation into your own hands. Make one of the most important investments of your life and visit our New Jersey showroom to work with our Bullfrog hot tub dealers.